Last week as the week ended we saw new highs on major indexes (barely). Early week some weakness, but earnings and stats pushed the market up by end of week. 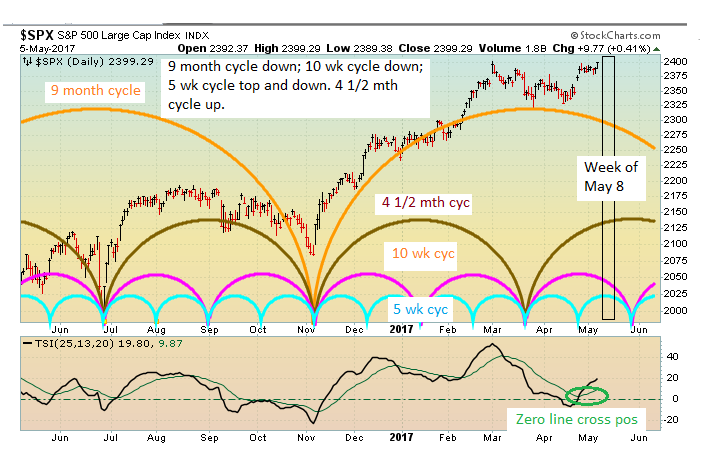 In the upcoming week we have 3 cycles down and 1 up. 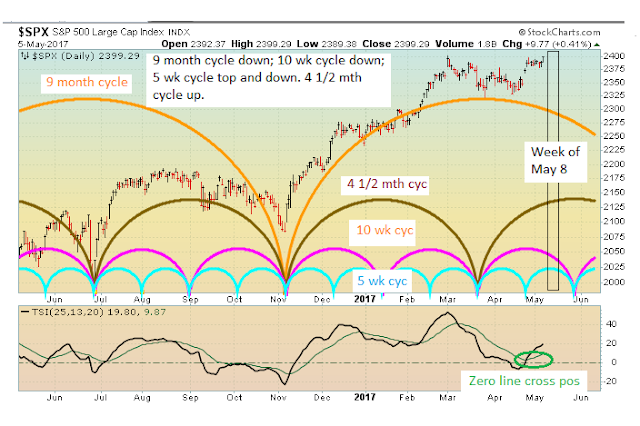 Since the 9 month cycle appears to be dominate - expect some weakness in the upcoming week. All you want to do is predict whether the market industry will rise, buy a new call, and if the market industry goes up you generate profits. Or on the opposite, predict the commodity will fall within a short time and you will also generate profits. Binary Trading Software It is as straightforward as those scenarios. You don't need to to buy and carry, just trade in the direction in the market.